We are committed to creating a place for people to come together to grapple with the urgent challenges and questions of our time. What better place than a cultural center to cultivate inquiry-driven environments that move us beyond polarizing debate and toward the deep knowledge-sharing, dialogue and exchange that will lead us to breakthrough ideas? At YBCA, we don’t stop there. We look for the game changing ideas . . . and we find a way to incubate them, to make them real. 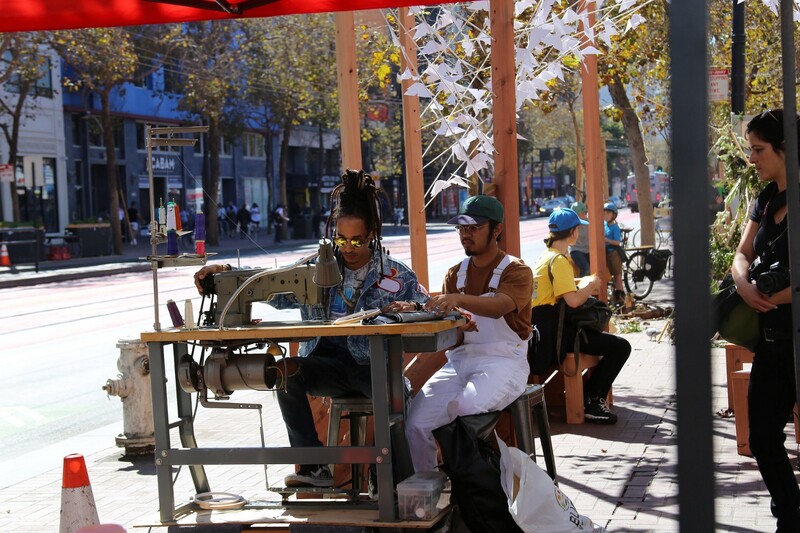 Recent lines of inquiry at YBCA have been shaped around a number of questions including: Can we design freedom? What does equity look like? And, why citizenship? 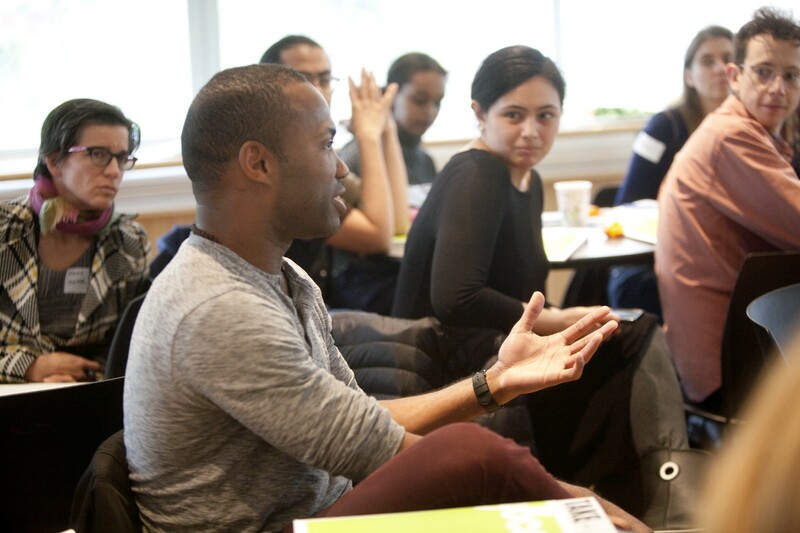 By design, YBCA Fellows and Artists tackle those questions from diverse perspectives and disciplines which creates a powerful array of nuanced, poetic, out-of-the-box responses. At YBCA, we don’t stop there. We look for the game changing ideas — whether they are policy propositions, artistic proposals, new ventures — and we find a way to incubate them, to make them real. It is this inquiry driven creative environment that led to a gigantic, paradigm-shifting concept that we call CultureBank. Penelope Douglas — who is a rare, right-brain/left-brain artist and pioneer in the worlds of community development, impact investment, and social entrepreneurship — was facilitating a cohort of YBCA Fellows focused on issues of labor and the question “why work?” This overlapped with questions of equity and citizenship that we were pursuing in other Fellow cohorts and in our artistic program. Out of that creative foment came CultureBank, which addresses major challenges in our current financial investment system. We know that artists are changing lives and transforming communities across this country, but their work remains marginalized, underfunded. Despite extraordinary efforts to shift arts philanthropy, we have not been able to bring this massive creative potential to scale. We also know that our democracy is in crisis, our institutions are failing, and the world belongs to a decreasing few. In this very moment, our President has proposed to eliminate every single one of our federal cultural agencies — the National Endowment for the Arts, the National Endowment for the Humanities, the Corporation for Public Broadcasting, and the Institute of Museum and Library Services. The Administration’s FY2018 budget also eliminates the Community Development Financial Institution (CDFI) Fund, a critical Treasury Department program that enables key investments in communities that lack access to capital. It also defunds the Community Development Block Grant Program which funds local community development activities like affordable housing and infrastructure development. This is CultureBank — a new way of thinking about investment that is rooted in the idea that every person, every neighborhood has something of value and that artists are uniquely equipped to change hearts, minds, and lives . . . Cultural shift is needed and only happens when enough of us push forward a new public imaginary, a new vision that becomes not only the aspiration for some but the expectation for all. This is CultureBank — a new way of thinking about investment that is rooted in the idea that every person, every neighborhood has something of value and that artists are uniquely equipped to change hearts, minds, and lives through culture shifting community engagement work. Focusing on trapped or underutilized assets — starting with art — CultureBank will pool and value assets of all kinds in order to move us toward an investment model where collective social impacts are valued as much as financial returns. Drawing from the best attributes of community banks, social financiers, community development finance institutions (CDFIs), and placemaking, we are placing cultural shift at the core of equitable social and financial movement by investing in artist entrepreneurs and their creative ventures. These are prolific leaders like Carlton Turner who has multiple enterprises including the Mississippi Cultural Production Center which is facilitating a multi-media archival process connecting younger generations with historic economic strategies rooted in land cultivation and agricultural production. This inventive process will result in a permanent economic hub for arts and agricultural production in rural Utica, Mississippi. With gratitude to visionary funders, the Surdna Foundation and the Kenneth Rainin Foundation, we are launching a Think Tank made up of luminaries in arts and culture, finance, community development and impact investment. Over the next several months, this group will collaboratively design a new approach to investment aimed at funding the creative practitioners who are working in communities across our country. 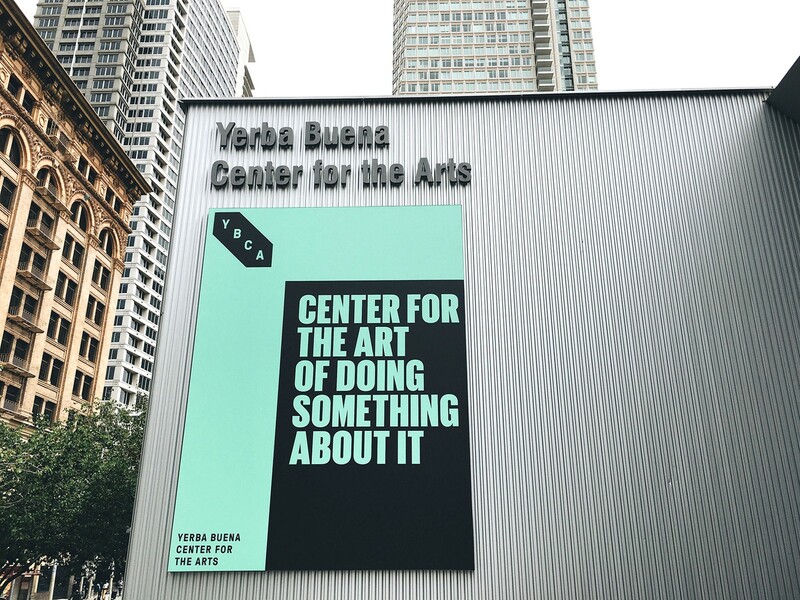 At YBCA, we are committed to supporting the artists and changemakers who are leading us to a better future. CultureBank is a big bet and it is exactly the kind of magical imagining that an art center should be cultivating — thinking and experimentation that can change the world. CEO of Yerba Buena Center for the Arts, Innovator in Residence at the Ewing Marion Kauffman Foundation, Co-Founder CultureBank, serial collaborator, mom.